Perfect for smaller lawns, The Handy Hollow Tine Aerator will improve the quality of your lawn with very little effort needed. Made from durable quality steel, the Handy Aerator is easy to use with its spring-loaded hollow tines which penetrate the lawn and remove the core of soil. These small holes in your lawn will improve drainage and allow water, nutrients and air to penetrate the roots. This facilitates growth and improves the health and appearance of your grass. 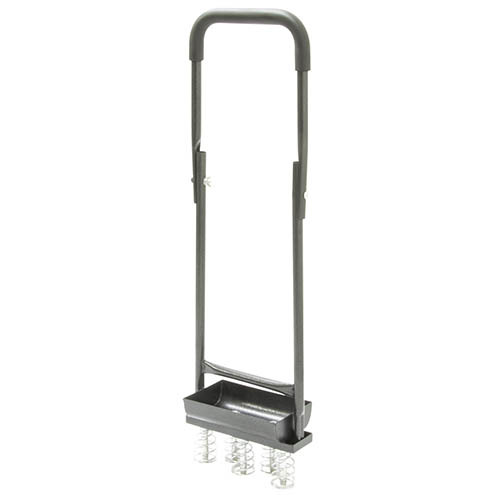 Compact and easy to transport and store, the Handy Aerator features collapsible handles that help to save space. The best time to aerate your lawn is every year during the growing season.